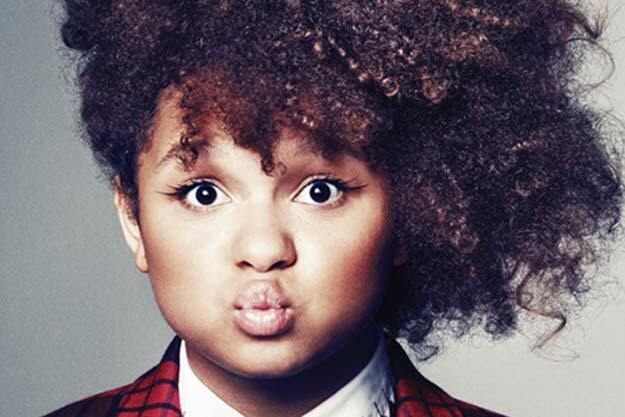 We love Rachel Crow, not only she is a smart, bubbly and talented young lady but she is pure sunshine. Crow participated in the first season of the U.S. version of The X Factor in 2011 and she finished in 5th place overall. Rachel was born to a drug addicted mother and suffered child abuse before she ended up in foster care. "She was born a crack baby and actually lived in a crack house and suffered a lot of abuse," Rachel's adoptive mother, Barbara Crow, told the Huffington Post. "But she is totally unaffected by it. She never looks at [her past] in a sad way. She looks at it as that is what made her the person she is." Rachel's story is a wonderful example if you will call your troubles experiences, and remember that every experience develops some latent force within you, you will grow vigorous and happy, however adverse your circumstances may seem to be.